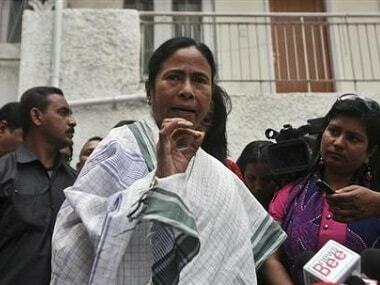 Kalimpong/Darjeeling: West Bengal chief minister Mamata Banerjee's abrasive form of politics may see her get her comeuppance, when Darjeeling votes in the second phase of the seven-phase parliamentary election on Thursday. It's the decisive vote from the Nepali-speaking Gorkha community — around half of the over-14-lakh-strong electorate — that will seal the fate of the Trinamool, which has dropped Congress from its logo recently to give the ruling party in itself a distinct identity in Bengal. And the battle for the Darjeeling seat centres on identity, where the dented Gorkha pride — after Mamata's 'brain fade' bid to make the Bengali language compulsory in the hills in 2017 — has come in sharp conflict with the "other hill culture" that has little in common with the majority Bengali population across the state. An understanding of the geographical contours of the parliamentary constituency — which spans the eponymous Darjeeling along with Kurseong and Kalimpong (in the Dooars or bordering Bhutan), Matigara-Naxalbari (a Scheduled Caste-reserved Assembly segment in the plains bordering eastern Nepal), Siliguri (in the plains), Phansidewa (a Scheduled Tribe-reserved Assembly segment in the plains bordering Bangladesh) and Chopra (in the Terai or plains bordering Kishanganj in Bihar) — gives a sense that the Bengalis have no dominant place in this north Bengal patch. The area has been a melting pot of the Gorkhas, tribals who were brought from the Chota Nagpur plateau by the colonising British to work as indentured labourers in the tea gardens in the region, several indigenous ethnic groups like the Rajbongshis. Besides, the constituency is home to Marwaris, Biharis, Muslims and the Bengali refugees from the erstwhile East Pakistan. Anmol Prasad, a Kalimpong-based lawyer and a key member of the Jan Andolan Party (JAP) — founded in 2016 after it split from Bimal Gurung's Gorkha Janamukti Morcha (GJM) over ideological differences — sums up Thursday’s electoral battle: "It's between Nepali pride and greed. The majoritarian Bengali culture is clashing against in-your-face Nepali culture, which has been misunderstood and misrepresented by Bengali politicians of all hues — from Bidhan Chandra Roy to Jyoti Basu, Buddhadeb Bhattacharjee and now Mamata — and has let things to come to such a pass." Prasad is an archetypal symbol of the Darjeeling hills' syncretic culture — his grandfather came to Kalimpong from Balia in eastern Uttar Pradesh during the turn of the last century as a fortune hunter of the original Silk Route to Tibet via Jelep La, a high mountain pass through the modern-day East Sikkim district to Lhasa, and seamlessly blended with the Gorkha society. Prasad's father married a Nepali woman from eastern Nepal's hilly Okhaldhunga district to make the social integration complete. The lawyer-turned-politician sees Mamata's tactical bid to divide the heterogeneous Gorkha community — made of diverse ethnic groups and bound by a common linguistic identity, Nepali — as a parochial political ploy that is tearing the hill society asunder. 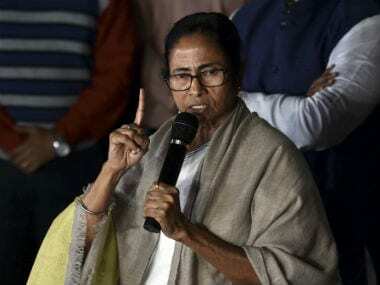 The Bengal chief minister has created at least 15 development boards for these diverse ethnic groups and her generous periodic handouts are being seen as a clever bid to buy the loyalty of the members of respective boards and strengthen her vice-like grip over the volatile hills. "Mamata is playing on the Gorkha greed to offset our pride," says JAP candidate Dr Harka Bahadur Chettri, who been waging a lonely electoral battle amid the head-to-head contest between two proxy nominees from the Trinamool and the Bhartiya Janata Party (BJP). Low on resources, but high on commitment, Chettri knows in his heart of hearts that he doesn’t stand a sliver of a chance to become a member of the 17th Lok Sabha. But, his disruptive brand of politics amid the ongoing political tussle may be instructive in the years to come for the hill voters blinded by the cacophony of misplaced promises, half-truths and plain lies. Although hope springs eternal for Chettri, it's one of the proxies — Trinamool's Amar Singh Rai, 68, a retired associate professor from Darjeeling and being touted as a son-of-the-soil candidate pitted against the 'outsider' BJP 'plant' Raju Singh Bista, 39, the Delhi-based managing director of Surya Roshni Ltd, a fan and light manufacturing company, and known for his linkages to the Rashtriya Swayamsevak Sangh (RSS) — who will get to enjoy less than 15 seconds of fame in the 17th Lok Sabha. Chettri's years of espousal of the Gorkha cause has been squeezed out by the mighty forces behind Rai and Bista, a native of Manipur, who doesn’t even know how many Members of Parliament Bengal sends to Delhi, and finds himself in the Darjeeling electoral fray, thanks to his Gorkha lineage. In this election season of tall talks, there have been gaffes galore such as Mamata's Freudian slip of identifying her Darjeeling henchman Binay Tamang as Bimal Gurung, her bête-noir, at a public rally in Kurseong on 12 April or the BJP president promising at a separate rally in Kalimpong on the same day, "refugees, whether from Bangladesh, be it Gorkha or Hindu or Sikh or those who have come from Nepal, the Citizenship (Amendment) Bill will give them citizenship". Shah was clearly ignorant of the hill culture as Darjeeling Gorkhas want an identity distinct from Nepalese citizens. But, such faux pas are common in the heat and dust of an intense campaign trail, where political loyalties have been bought many times over for a shot at power — the only elixir of electoral success in a liberal democracy called India, where numerical strength alone determines poll outcome and where a Gorkha politician's identity has, at best, been a pawn for the power-brokers in Delhi and Kolkata. Rai is a classic case in point. He won the Darjeeling Assembly seat on a GJM ticket and was seen as an intellectual resource for Darjeeling strongman Gurung. 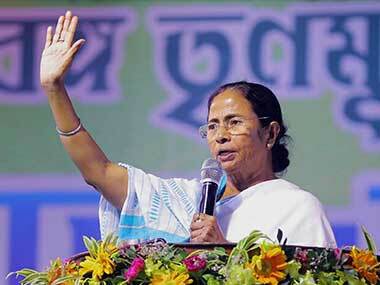 But, in less than three years, he has done a U-turn and has now emerged as Mamata's nominee for the 17th Lok Sabha. Niraj Zimba, a spokesperson of Gorkha National Liberal Front (GNLF), which became a spent force since the upsurge of Gurung in 2007 and following the death of its founder Subhash Ghisingh in January 2015, cuts through the political clutter that has left a large section of the hill voters a confused lot. "This is a new low and an inglorious first in Indian politics. An MLA of a particular party (read GJM) is fighting another election on the symbol of another party (read Trinamool)," says Zimba. Mamata and the Trinamool — seen as Enemy No 1 by the Gorkhas — have led to a hitherto unthinkable rainbow alliance in the hills. The GNLF has joined hands with the Bimal Gurung faction of the GJM that is being supported by the Communist Party of Revolutionary Marxists, or the CPRM, the breakaway faction of the hill CPM, and this new political formation is backing BJP nominee Bista to the hilt. The GNLF president Mann Ghisingh has buried his hatchet with Gurung and his men, who tormented his father till his death, for the larger political cause of keeping Mamata at bay. While, the Left — which has fielded three-time CPM MP Ananda Pathak's son, Saman, popularly known as Suraj — got 15 percent of the vote in 2014, and is expected to fare even worst this time around, capping the decimation of the Left across Bengal. For the uninitiated, Anand Pathak was chased out from the hills by the militant GNLF cadres at the height of the Gorklahand agitation. But, amid the bloody landscape of Darjeeling politics, where politicians across party lines have been killed at a drop of a hat through the years — from Sudarshan Sharma, Prakash Theeng, TS Gurung, Rudra Narayan Pradhan, CK Pradhan, or Madan Tamang — violence, true to hills' Tibetan name Dorjeling (a land of thunderbolts), can erupt anytime, and reminiscent of the 28-month-long agitation, championed by Subash Ghisingh, between 1986 and 1988. Darjeeling is yet to clean the stains of the blood of Madan Tamang, the president of Akhil Bharatiya Gorkha League (ABGL), who was hacked to death in full public display near the Planters Club at around 9.30 am on 21 May, 2010, when he was making preparations to celebrate the 68th Foundation Day of the ABGL. Although the needle of suspicion is pointed towards Bimal Gurung and his wife Asha, who had threatened to kill Tamang, a day before he was eliminated while addressing a rally from Sumeru Manch in Darjeeling town, justice remains elusive for the late ABGL leader's kin. Nine years on, Tamang's widow, Bharti, is forlorn and a victim of expedient mainstream politics as she whiles away her time looking after her two grandchildren at the sprawling family residence, Rhododendron Dell off Gandhi Road on the outskirts of Darjeeling town. "Two writ petitions of Bharti Tamang is still pending in the Supreme Court since last year, but they are yet to be listed for reasons best known to the legal luminaries concerned in Delhi even though they can find time to hear frivolous public interest litigations, or PILs," says Amar Lama, the younger brother of slain Tamang and an advocate himself. Bharti has been going around in circles seeking justice for the ABGL leader, whose life was snuffed for taking on the rowdies of hill politics. "Neither Mamata nor Pranab Mukherjee took up the case seriously in all these years. Asha Gurung's culpability is beyond doubt, but the BJP government at the Centre won't go after Asha because Bimal's strong-arm tactics and his vote-catching ability is what the saffron party is banking on to ensure Bista's win because of the leadership vacuum in the hills," says Bharti. Her assessment, though a political novice and innocent of mainstream politics, isn't off the mark. The spectre of Bimal Gurung, who is facing a raft of cases slapped by the Bengal government, including the draconian Unlawful Activities (Prevention) Act (UAPA), for engineering the 104-day shutdown in the hills in 2017, still looms large in the hills, albeit in absentia. Bimal Gurung, on the run since Mamata's crackdown on him since 2017, is believed to be shifting his base between Delhi and eastern Nepal, and has emerged as a social media warrior as he spews venom against the Trinamool government via Facebook and WhatsApp from his secret hideout. Along with Gurung, another 3,000 Gorkhas have gone underground because the Bengal government has pressed 'trumped up' charges against them amid the changing demographic fabric of the hills’ law and order apparatus. Bengali police officers, blissfully unaware of the hill topography and 'alien' Gorkha culture, have been brought in en masse from the plains to keep the 'unruly' Nepali-speaking population under Mamata's thumb. 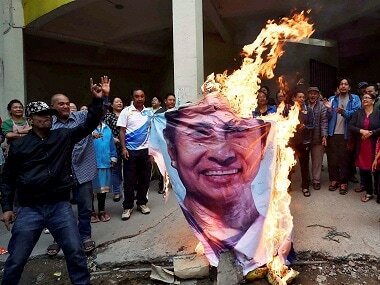 Technology has not only imparted a larger-than-life image to Gurung, a homegrown Robin Hood, but has also helped to gloss over the lack of his physical presence amid a growing sense of Mamata's machinations to woo "betrayers" of the Gorkha cause like Binay Tamang and Anit Thapa, the Bengal chief minister's sidekicks in the hills, from Darjeeling and Kurseong, respectively. "Historically, Gorkhas don't forgive betrayers and opportunists. This election will be more a vote against Mamata's excesses during and after the 104-day shutdown in the hills than a vote for the BJP," says Pranati Moktan, a teacher at a higher secondary school in Kalimpong. 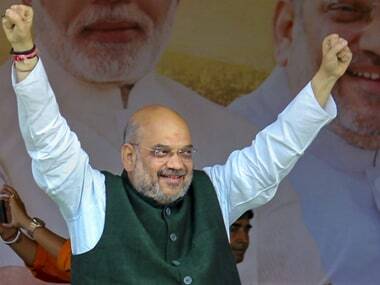 Moktan knows the Gorkha psyche well as Mamata's smash-and-grab approach to hill politics is being perceived by the voters as clutching her last straw against a strong saffron wind blowing against the Trinamool in parts of north Bengal. 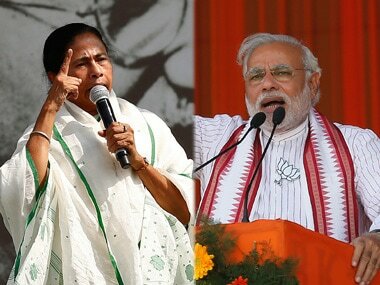 Mamata's human rights excesses to break the simmering cumulative discontent against the Bengali regime in Kolkata and a persistent bid to thwart the Gorkhaland movement, on which the BJP, too, has reneged this time around, despite painting a rosy picture all along for the last decade just to open its Lok Sabha account in Bengal politics. As Anmol Prasad points out, the history of Gorkhas in Darjeeling hills is one of cyclical exploitation amid the cataclysmic shift in demographics, where the locals are escaping the exploitative tea plantations and other sundry menial jobs in hospitality industry and other limited opportunities to get exploited in varying degrees as caregivers in Israel to retail merchandisers and waiters in quick service restaurants in Dubai and Doha to cooks and security guards in conflict-torn Iraq and Afghanistan, respectively. The tea gardens, where 70 percent of the hill population lives, is a microcosm of the colonial past aggravated by exploitative owners, who are not only unwilling to pay arrears for the minimum daily wage of a pittance Rs 176 — pending to the impoverished workers because of the 104-day shutdown in 2017 — but are making a fortune in the international market by selling the Geographical Indicator-enabled Darjeeling Tea for a premium. Consider the case of Badamtam Tea Estate, located around 15 kilometres north of Darjeeling town and run by Goodricke. Moonlight Spring White, a small batch of speciality first flush from Badamtam, has recently fetched a whopping Rs two lakh per kg, making it one of the most expensive Darjeeling teas ever sold on the international market. But, a visit to the garden beggars description. The supporters of Binay Tamang, the chairman of the defunct Gorkhaland Territorial Administration, have managed to drive the fear of god among the unsuspecting tea garden workers, whose loyalty has shifted overnight to the Mamata regime. And Trinamool is banking on Binay Tamang's brute force in tea gardens like Badamtam to change its fortune as an axis of die-hard pro-Gorkhaland parties have put their support behind Bista to teach Mamata a lesson. For Bengalis, irrespective of the social and class barrier, Darjeeling has all along been synonymous as a getaway for undiluted fun and frolic. But, in the kerfuffle of competitive politics, Darjeeling's thrill is gone with the icy wind and the pristine beauty of the Queen of the Hills, as captured in Satyajit Ray 1962 classic Kanchenjungha, is only a fading memory in our collective consciousness.